MUSTANG MAKEOVER 2018 - JAN IS PARTICIPATING!!! "I like the idea that the Mustang Makeover is a pro-horse event. This is a comforting contradiction to the general situation in horse sports, which I personally oppose for years. 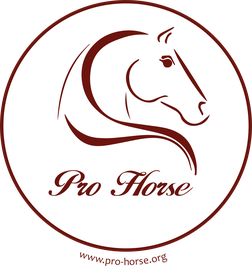 It's a terrific chance to present "my" Mustang after 100 days to a pro-horse audience and to raise the awareness for the dramatic situation of these wonderful animals." We are looking forward to "Jan's Mustang" and exciting upcoming times!! He/ She is coming end of April to our place and we are going to show regular training sequences. Jan is going to present the Mustang beginning of August in CHIO/ Aachen. We will all keep you updated with video clips and pictures! „Ecole de Légèreté“ Teacher training with Philippe Karl. Here some pictures of my latest PK clinic in South Germany. I rode once again Chaparro, a Lusitano we currently have in training who is owned by Carol Buchan, South Africa. I am very happy with his progress since last clinic in December. Most importantly, he has been a lot calmer, settled and confident all around. This is the best preparation for his long journey to South Africa, which will start end of June. Classical dressage in accordance to the Ecole de Légèreté, Great Britain, Wiltshire. Thank you, Tamasine Smith, for organising these two clinics. Here just a few pics. For more and in detail commented pics please have a look on our FB Page ProHorseNordhessen under the section picture Album EdL GB/ Wiltshire. Classical dressage in accordance to the Ecole de Légèreté, South Africa (Western Cape, Kwazulu Natal, Pretoria). Thank you to Liesl Kruger, Wallis and Carol Buchan and Claudia Berndt for the organization. Jan went on a short a trip to ZA, Pretoria and Kwazulu Natal, in January. WB-gelding „Lucky“, owned by Wallis Buchan. Some more pictures of my previous EdL clinic. I rode Chaparro,a Lusitano gelding, owned by Carol Buchan. it takes. In the beginning his high sensitivity lead to problems like spooking and excitement. Whereas now it helps riding him with joy and in lightness. Jan receiving a certificate for passing the exams of becoming a falconer. This license entitles him of keeping, nursing and protecting owls and other raptors.